Select Shows Midway will be returning with their thrilling rides, tasty treats and fun games! 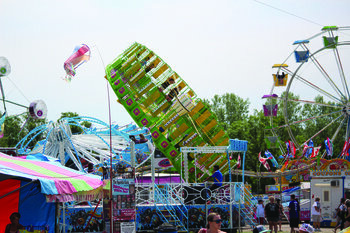 Advance one day all-you-can-ride wristbands will be available closer to fair time. 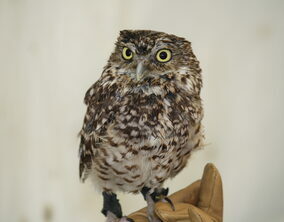 The Prairie Wildlife Rehabilitation Centre is back to help educate the public on wildlife issues. They provide care for injured, sick and orphaned wildlife in Manitoba, and they will be bringing along some critters for you to see! 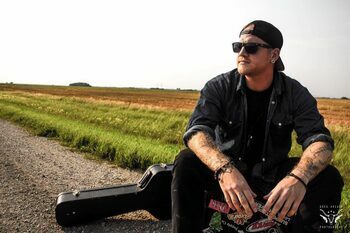 Aaron Starr is a musician from Selkirk Manitoba, who thundered into the music scene at the mere age of 16, wowing crowds and performing live for almost a decade. in 2011, Aaron was a finalist for "Canadas Got Talent" online auditions. Placing in the top 20 videos of over 12,000 entries. Aaron is currently back enjoying a career as a solo artist and with a youtube profile of well over 400,000 hits and counting, with fans from ages 8 to 80, and mail coming from every side of the globe - From as close as his next door neighbor, to as far as Germany, China, and various parts of Europe - Aaron doesn't appear to be stopping any time soon. 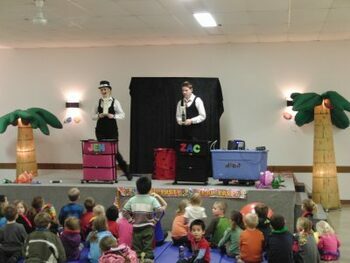 Once dubbed as Canada's Youngest Magic Duo, these young, flashy, energetic award winning entertainers will be sure to attract mass audiences to your event. Specializing in stage shows and walk around magic for fairs, festivals, schools, daycares and birthday parties. Now adults, siblings Jen and Zac have been entertaining since the age of six and eight. 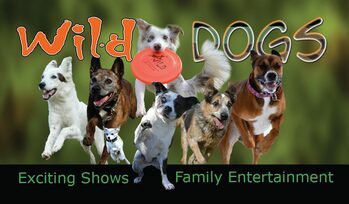 We are excited to have the Wild Dogs returning to the fair! They are a high calibre performance group that can entertain the entire family! No show is too small or too large for the family fun entertainment of Mr. Richards. Children and adults love his unique sense of humor and his cartoon style. Mr. Richard’s is wonderful, eccentric and extremely funny. 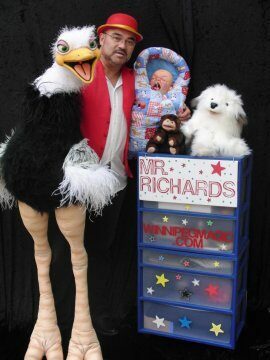 Mr Richards show is different from all others as it consists of magic and ventriloquism with puppets. Not only does he entertain with his 6 foot ostrich puppet but constantly adds new characters into his act. On a whim, Mr. Richards auditioned for the national TV show Canada's Got Talent. Out of thousands and thousands of contestants there were only a handful that passed the audition to appear and compete on the nationally televised TV show... and Mr. Richards was one of them. Mr. Richards specializes in both indoor and outdoor stage shows. Mr. Richards has the experience and know-how to design and custom tailor shows for events both large and small.